As we’ve reported since last year’s San Diego Comic-Con, the Red Circle heroes are coming to the DC Universe. The Web, The Shield, Hangman and Inferno will star in four one-shots in August, written by J. Michael Straczynski which will introduce the characters, and then in September, two ongoing series will launch: The Shield (with Inferno as a co-feature) and The Web (with Hangman as a co-feature). 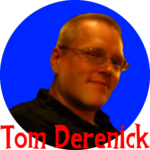 Here at First Comics News, we’re talking to the creative teams on the titles, and today, we move to the penciler of Hangman, Tom Derenick. First Comics News: Tom, you’ve been at DC for a while now, but just to step back a little bit, how did you originally break into comics? 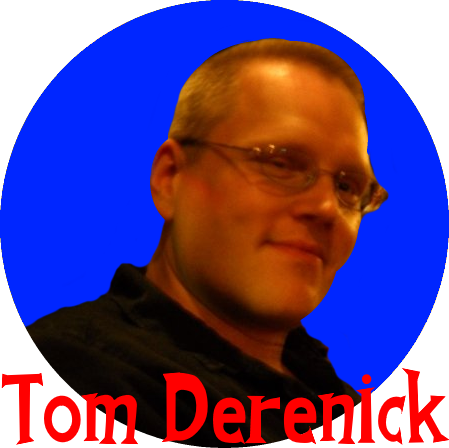 Tom Derenick: Submissions, many, many submissions. Cry for Dawn and Malibu Graphics ended up taking a shine to my stuff and I landed some work. 1st: How did you get the job on Hangman? Tom: Joey Cavalieri called me up and asked me if I’d be doing one of the Red Circle books and when you get a chance to work with J.M. Straczynski you don’t turn it down. 1st: You have a long history with Golden Age Hero revivals, going back to your days on the Protectors. Had you been a fan of the Hangman prior to getting the assignment? Tom: I was aware of him but I never read any of the comics. So no I was a fan. 1st: Would it be safe to say with all the changes, “This isn’t your father’s Hangmen”? Tom: As I said, I hadn’t read the old Hangman stuff but what seems like a JMS-style tweak much like he did with Squadron Supreme. I have to say though after reading the script and even before I started drawing it I really got into the ideas in it. 1st: Joey Cavalieri is your editor on the series, what did he tell you he wanted from the series? Tom: Well, it’s not exactly a Hangman series. Red Circle is a group of interconnected one-shots. The standalone very well but fit together beautifully for a bigger picture. I only draw the Hangman and a page in the Shield but I’ve read all the script and I was impressed. 1st: J.G. Jones did the character designs for some of the Red Circle Heroes. How much freedom do you have with the design of Hangman in the monthly comic? J.G. Jones’ Hangman designTom: I did change J.G. look slightly. My Hangman’s a bit beefier and his cloak and belt have been altered. Just little tweaks. He’s essentially J.G.’s design but made to work better in my drawing style. 1st: What’s the deal with the noose around his neck for all eternity? Tom: You’ll have to read it to find out. 1st: Fair enough. What type of reference material do you get for the Hangman stories? Tom: I pulled together a group of Civil War reference books. The first chunk of the one-shot follows that time period. 1st: After working on Shadowpact and Reign in Hell, have you become the supernatural guy at DC? Tom: It does seem that way sometimes but no. If I were to label myself at DC it’s the Books with a million people in them artist. Seems more like I’m drawing the most populated books more than anything. Love drawing for DC though. The company’s been great to me. 1st: Finally Tom, we can’t finish this up without noting that you’re one of DC’s resident workhorses. Now that Countdown and Trinity are behind you is it easier to work on a monthly comic? Tom: Well all the Trinity guys were on a two book a month pace. Mark Bagley had the heaviest workload but we were all working heavy. Because of that we were working more for speed than detail so now with the slower pace it’s possible for all of us to give our art a little something extra so there should be a noticeable difference.